Shimadzu, one of the world leaders in analytical instrumentation, has released the latest version of its LabSolutions analytical data system. This product incorporates supplementary functions to comply with data integrity regulations and to support development and quality inspection procedures in pharmaceutical companies. 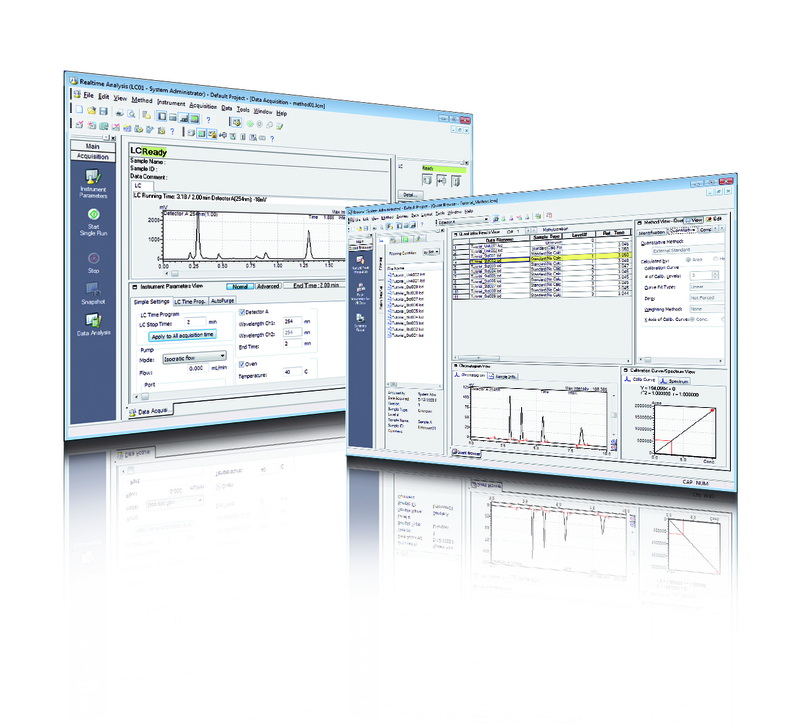 The LabSolutions software family features an operating environment providing complete data management to ensure secure information in networked laboratories. In the pharmaceutical industry, compliance with regulations and guidelines as well as the proper, efficient management of instruments and analytical data is required.. The LabSolutions analysis data system meets these needs. Since the spring of 2016, the U.S. Food and Drug Administration (FDA), the British Medicines and Healthcare products Regulatory Agency (MHRA) and other regulatory agencies have strengthened the monitoring of quality assurance in the pharmaceutical industry. One of the processes that is difficult to monitor is manual integration of the detector signals, resulting in modification of peak area and therefore quantitative data. So-called shoulder peaks, where component signals partly overlap, are particularly difficult to determine, and are a cause of concern for operators. The new peak integration algorithm built into this product can quantify overlapping peaks more accurately. The intelligent peak deconvolution analysis (i-PDeA II), which uses analyte UV spectral information obtained by the PDA detector, has also been improved. It can be used to show data traces for single components more accurately than with the conventional peak purity method, enabling accurate quantitative values, even for co-eluting peaks. New peak integration algorithm enables high accuracy peak detection. With traditional peak integration methods some complex chromatograms require time programming or even manual integration, which can result in deviation of quantitative results due to different operators. The new algorithm can perform peak integration of these chromatograms with just a few simple parameter adjustments. It offers highly accurate detection of shoulder peaks, simple adjustment of peak-baseline processing, improved peak-baseline positioning that results in improved reproducibility and accurate peak integration even with variabilities caused by baseline drift. LabSolutions can also be used with the traditional peak integration methods (Chromatopac mode). Switching between traditional and new peak integration methods during analysis is easy, allowing the user to select an appropriate peak integration method for the circumstances. This includes selecting a traditional method for compatibility with past data. An improved detector function (i-PDeA II) uses differences in the UV absorption spectral patterns of target analytes to reliably separate multiple components that elute at more or less the same time. Hard-to-separate peaks can be shown in a single trace, simplifying detection and at the same time enabling analysis and quantitative calculations with respect to the resulting data. In addition to pharmaceuticals, this revolutionary solution can be used for the analysis of clinical specimens, chemical products, natural products, functional foods and residual pesticides. Shimadzu has released the latest version of its LabSolutions analytical data system. This product incorporates supplementary functions to comply with data integrity regulations and to support development and quality inspection procedures in pharmaceutical companies. The new algorithm and functions increase accuracy, data integrity and flexibility. An improved detector function uses UV spectral pattern to provide a revolutionary separation solution also for the analysis of clinical specimens, chemical products, natural products, functional foods and residual pesticides.